Comfort A. McMillen moved to the area in 1846. The community was first called Old Decatur and then Maxwell Branch. In 1888 when the St. Louis and Southwestern Railroad (Cottonbelt) came through, the name was changed to Murphy. It was named for William Murphy, who moved to the area in 1850. At one time Murphy was 3 gins, a drug store, several grocery stores, a post office, a barber shop, an ice house, a blacksmith shop and a cafe. James W. Maxwell deeded 3 acres of land for a cemetery in 1886 with the deed listed in Vol. 28, p 529. Maxwell Creek is on the eastern edge of the cemetery, with a small creek on the south. The cemetery has several names. Today most people refer to it as the Murphy Cemetery. It has been neglected for a number of years. The cemetery is no longer in use. The last burial was in 1966. In 1993 a cemetery association was formed. In November of 1993 the cemetery was cleaned. Several stones need to be reset. The cemetery association is trying to make the cemetery active again. A list of the graves in the cemetery was made by Bev Zavitz, who wrote LIVING IN MURPHY, TEXAS. She used obituaries as well as stones in the cemetery for her references. The Mapsco does not show Maxwell Creek Road connecting with Tom Clevenger Road on the north. 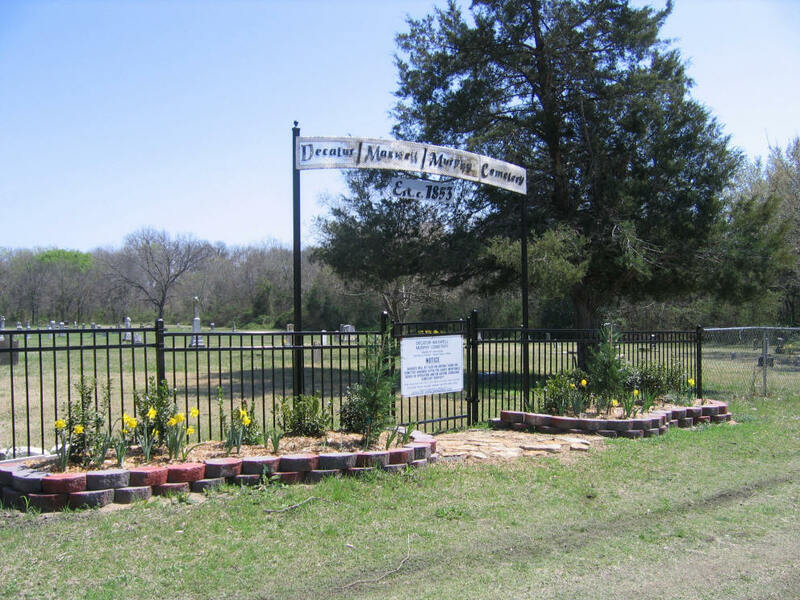 The cemetery they call Maxwell/Old Decatur on their maps is the McMillen Cemetery. 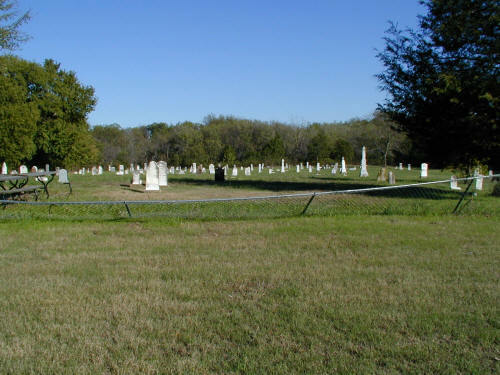 The Maxwell/Old Decatur Cemetery is just northwest of the Murphy Family Cemetery #55 and about a mile south of the McMillen Cemetery #48. According to a newspaper article printed in 1972, the earliest grave is that of Mary Herring, wife of Daniel Herring, and is dated 1843. In SACHSE REMEMBERED there is a reference from the Herring family Bible that states that the Herrings did not come to Texas until 1846. Probate records show that Mary Herring died around 1858. The stone for Mary Herring has since been shattered. Mary Herring was the first wife of Daniel Herring, who started the Herring Cemetery, which is about 2 miles south. His mother, Jane Herring is also buried here. Since the above writing, the Plano School District has bought the land around the Murphy Cemetery and is building middle school, high school, and sports complex north and west of the cemetery. The road to the cemetery lost its County Road designation. of Samuel McCreary, who died in 1853.
difficulty of childhood at the time.